unformatted comments acting as recipes. But FYF is Much More! 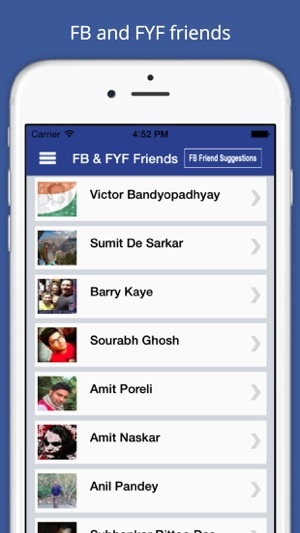 - Log In With Facebook, this feature allows user to log in the FYF by using their Facebook account. - Create New Post helps you create/share posts with FYF. 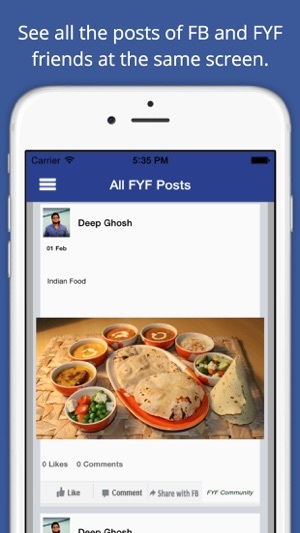 - All FYF Posts allows you check your full FYF newsfeed. - My FYF Timeline takes to your FYF posts, auto-enhanced and recipe ready. 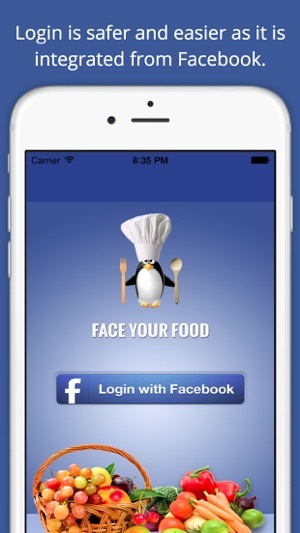 - Photos & Albums feature lets you upload/view recipe worthy pics. 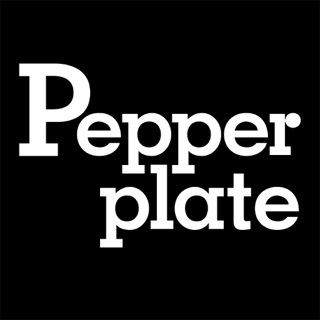 - Publications option helps you generate, promote & sell your recipes as Cookbooks and Calendars. 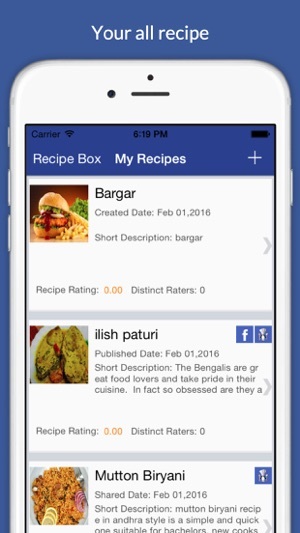 - Reports & Statistics option allows you to check metrics and analysis on your recipes and ratings. 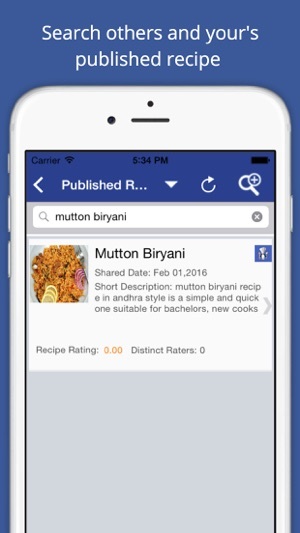 - Recipe Search option allows you to search any published recipes on FYF/Facebook. algorithm, providing a unique game-play between our chefs.